In political and virtual arenas we tend to move towards absolutes. We demand that the world be exactly one way and we never depart from that path. 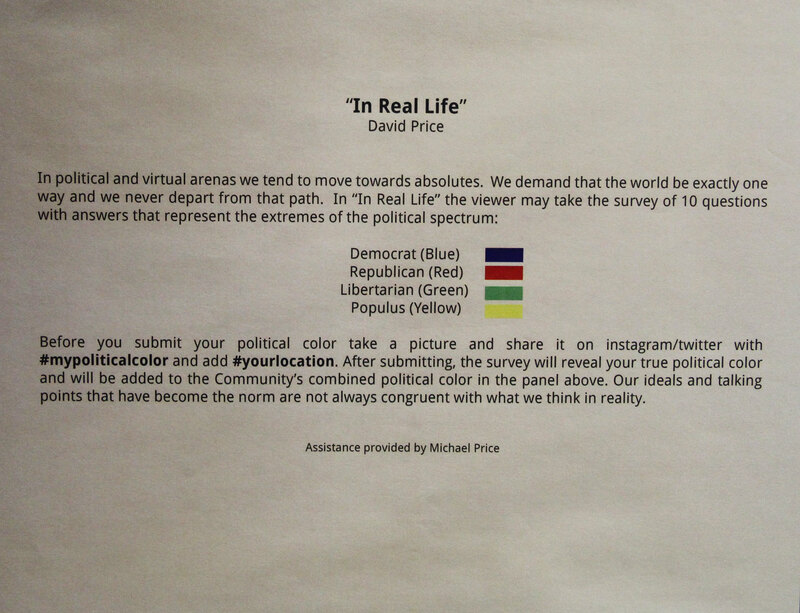 With the installation “In Real Life” the viewer may take a survey of 10 questions with answers that represent the extremes of the political spectrum. 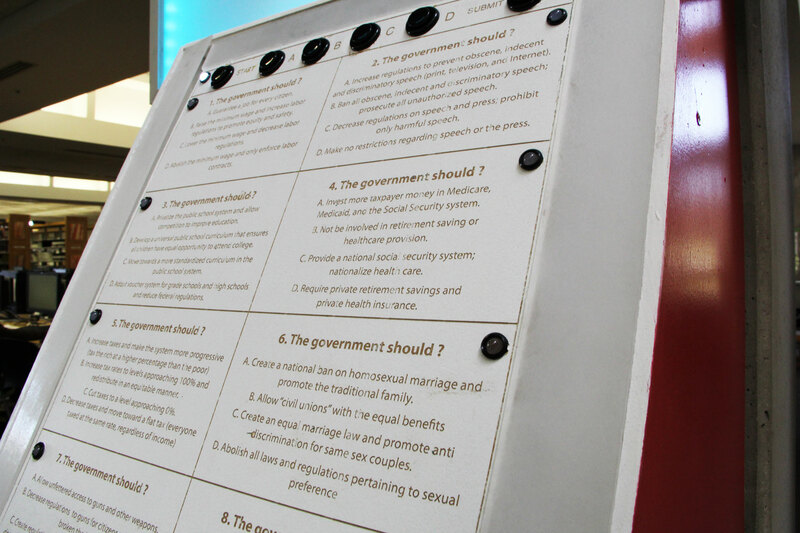 Participants can submit their political color by taking a picture of their results and sharing it on Instagram/twitter with #mypoliticalcolor and add #yourlocation. After submitting, the survey will reveal your true political color and will be added to the community’s combined political color in the panel above. Our ideals and talking point that have become the norm are not always congruent with what we think in reality. 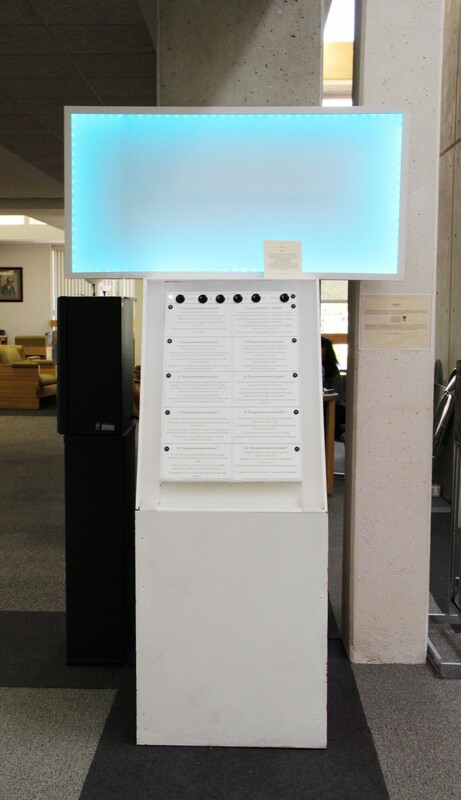 We are pleased to present our first local artists in this series to display work in the Salt Lake Community College Library at Redwood.